I worked as a holistic therapist for 20 years and ran my own business offering complementary therapy such as aromatherapy, reflexology, reiki, along with wellbeing workshops and evening classes. During this time I became very interested in the mind, body, spirit connection and continued my own personal development and knowledge by studying counselling, coaching and mentoring. Today in my counselling business I use an integrative approach with clients, which means that I utilise all of my experience and knowledge to help them, however I base this on a person centred approach. 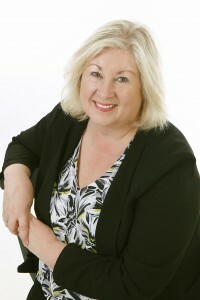 I have been working as a fully qualified counsellor and have been a full member of the British Association of Counsellors & Psychotherapists (BACP) since 2009 and offer individual counselling and life coaching sessions, as well as personal development workshops either in groups or in 1:1’s. My private therapy practice is based in Workington, however I am available to see clients in other venues by arrangement – Senhouse Centre, Whitehaven or De Lucy Centre, Egremont. As a full member of the British Association of Counselling & Psychotherapists (BACP) I work to their code of ethical practice. As part of the code of ethics I am required to attend regular supervision. I am also committed to continuing my professional development and regularly attend workshops and training courses to enhance and refresh my skills and knowledge. The content of our sessions is totally confidential, however if I believe that you may harm either yourself or another person, I am required to inform your GP.